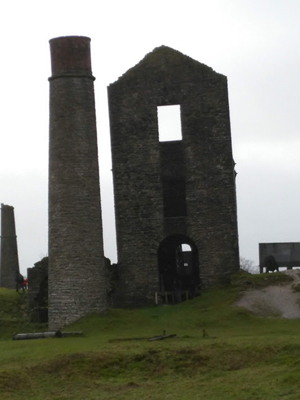 Ghostly lead miners and underground battles—lead mining in Derbyshire. In early times lead, like most other minerals—coal, tin, gold (Once a miner, forty-niner and his daughter Clementine...) was mined by one man who dug his little hole and, if he was lucky, found enough ore to keep himself and his family. In Britain though, from the 1700s on, it became more of a proper industry with mine owners who employed men and much larger mines which eventually used a network of canals and railways to move their product. 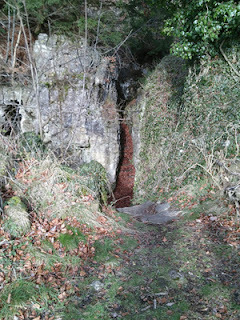 natural, an earth slip or fault line, possible caves. It is not hard to understand that someone could start mining in one place and someone else in another and they’d gradually realise that they were mining the same seam from opposite ends! It would lead to trouble! That is the situation in the song: The Blobber and the Windmill Lease. I’ve tidied up the words a tiny bit to make it more singable and put it to that well known tune ‘Come All You Tramps & Hawkers’ which is one of those ‘workhorse’ tunes which have carried many different sets of words over the years. It fits like a glove. The story: The Blobber is an established mine, the Windmill Lease a newly opened one. Blobber’s owners believe that the Windmill Lease is on their seam and to prove it their Agent (manager? overseer? foreman?) comes up with a clever idea: instead of mining the seam thoroughly they just strip off the top soil so that they can trace its course—and it leads straight to the Windmill Lease, who had to close down. This was an actual, historical event in the Wirksworth area in the 1740s when the song was written. Apparently it was still being sung 130 years later but then disappeared. 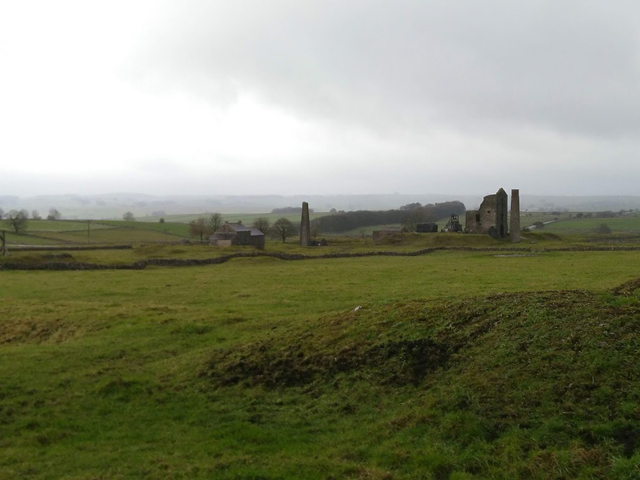 A more famous parallel to the situation concerned Magpie Mine which is near Sheldon, in the middle of nowhere really, near Bakewell. 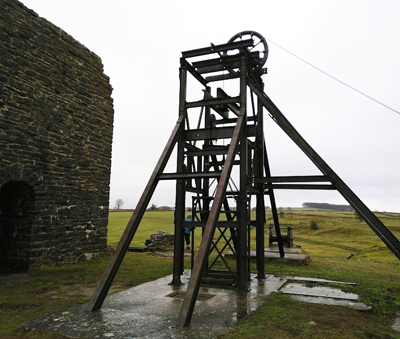 Whereas most mining remains are just spoil heaps and lumps and bumps, Magpie Mine is well preserved with the buildings and winding gear still fairly intact. The buildings look exactly like the more famous Cornish tin mines which is not surprising because in its later years it was worked by Cornish miners and one of the newfangled Newcomen steam engines, invented in Cornwall, was installed there to drain out the lower reaches which were below the water table. 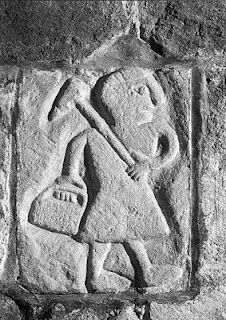 (There was one at Winster as early as 1717). Magpie Mine was at the junction of several seams and there were three other mines nearby. The fact that they were worked by local men and the Magpie by the Cornish added to the rivalry. At one point the Magpie Mine and the Red Soil Pit bumped into each other below the ground. Both insisted that they were in the right and it was their lead. (How you would solve that problem amicably I can’t imagine!) There were pitched battles and both sides tried to smoke out their rivals by lighting fires under ground. Eventually the Magpie miners lit a fire consisting of a toxic mix of straw, and coal tar ( and possibly sulphur) and in the panic which ensued several Red Soil men were suffocated. Many of the Magpie miners were arrested and held in Derby Gaol and 18 were finally charged with manslaughter, although most of them were acquitted because they hadn’t deliberately set out to kill anyone. After that, for the rest of the 19th century, the Magpie was dogged by bad luck but struggled on until 1958 although it was producing little lead in the latter years. It is believed that the widows of the Red Soil miners put a curse on the Magpie and it was, perhaps still is, believed to be haunted by the ghosts of the three dead men. On the day I went and took the photos used here it was cold and blowing a gale. Very bleak. I didn’t have my camera, only my phone, and the wind was buffeting so strongly it kept on switching it from camera to help. Or perhaps it was the fingers of those ghostly miners!